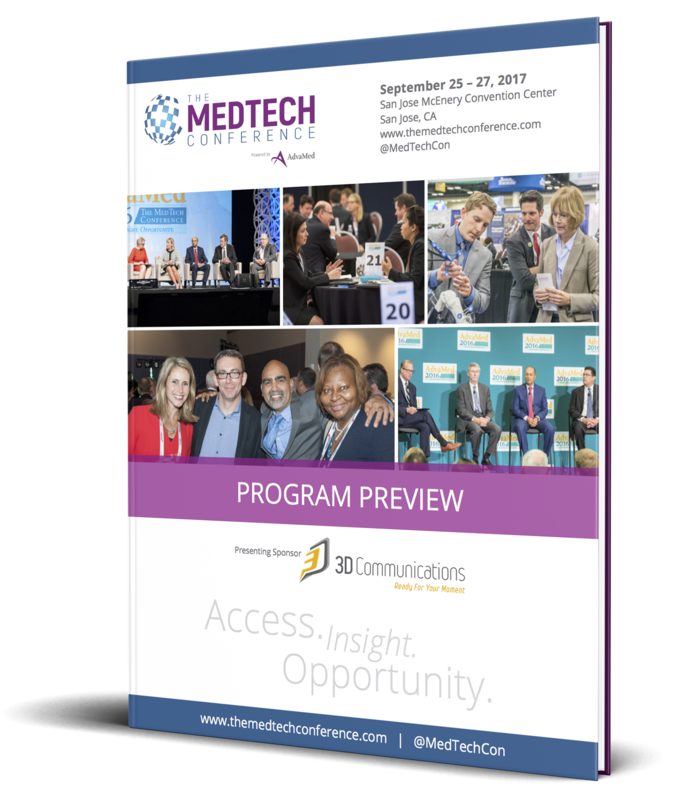 Get an exclusive first look at what to expect this year at The MedTech Conference, including educational session programming, business development opportunities, receptions and networking, the agenda, and more. Learn more about the four educational pillars and 40 programming sessions that will be featured throughout the three days of the conference. Partnering is a cornerstone of the conference - use MedTech Connect, our comprehensive business development tool, to schedule meetings and more. After a full day of networking, business development and learning, kick back and relax with industry peers at your choice of lively receptions. We are proud to partner with MedTech Innovator to bring the medtech industry's premiere global competition and accelerator to the plenary stage. From plenary sessions, to CEOs Unplugged, to panel sessions and more, our agenda-at-a-glance outlines your three days at The MedTech Conference. We are pleased to offer discounted housing exclusively for conference attendees in addition to special discounts on travel to the conference this September. Join us for the global summit for medical technology industry leaders and the largest annual gathering of medical technology professionals in North America. The MedTech Conference powered by AdvaMed will bring together representatives from more than 1,000 companies for business development, presentations on innovative technology and networking with policymakers, business executives and industry leaders. Invaluable - excellent executive demographics and a relaxed environment that encourages networking opportunities. Enter your information below to access the Program Preview.